Three miles south of the Las Vegas Strip, you'll find the Adirondack lodge-themed Silverton Hotel and Casino Lodge, which is currently undergoing a five-year, $150 million expansion plan with recently completed guest-room renovations and additional restaurants and lounges. Silverton boasts 300 newly remodeled rooms and suites with pillow-top mattresses, leather sofas, hardwood furniture, Bath & Body Works products, high-speed Internet access, mini-bars and in-room movies.The sophisticated Twin Creeks Steakhouse serves generous portions at reasonable prices. The Shady Grove Lounge brings the great outdoors in with an Airstream trailer inside which you can watch plasma TVs, play Bowlingo or foosball, eat and drink. And the Mermaid Restaurant and Lounge, with its centerpiece 117,000-gallon saltwater tank filled with thousands of tropical fish and coral, and there's also Seasons Buffet.Perhaps the most exciting addition, especially for outdoor enthusiasts, is the Bass Pro Shops Outdoor World, a 165,000-square-foot sportsman's paradise featuring a NASCAR department, rods, reels and fishing accessories, hunting clothing and gear, an archery department with a four-station archery range, a rifle tube and pistol range, camping, hiking, outdoor cooking and bird watching equipment, and boats - from big-water to small fishing, canoeing and kayaking vessels.The casino has slot, video poker and keno machines, as well as such table games as blackjack, craps, roulette and three-card poker.The expansion plan also includes a multiplex cinema, retail shops, timeshares and new hotel rooms. Shuttle service is available to and from the Strip.There's always something exciting happening in Las Vegas. 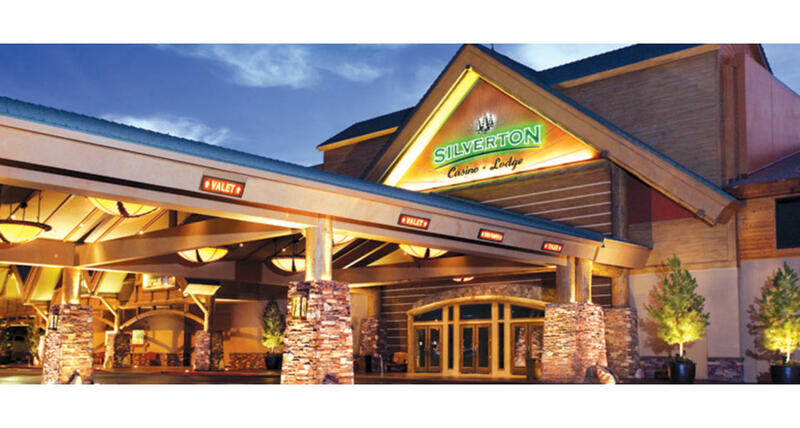 From nightly shows to special events honoring the top names in motorsports, outdoor adventure and cultural celebrations, you can experience it all when you vacation at Silverton Hotel and Casino. The list of events is constantly changing and includes your favorite entertainers in country music, classic rock, R&B, Top 40 and much more.